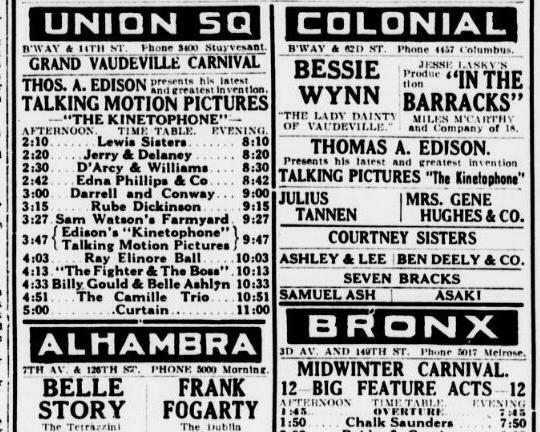 On February 17, 1913, on the day that the Armory Show was preparing to reinvent American art, Thomas Edison was attempting a revolution of his own for the young moving pictures industry. 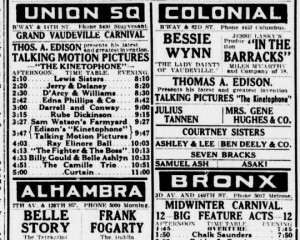 On that date, he debuted a new projection system called the kinetophone in four vaudeville houses in New York owned by impressarios B.F. Keith and Edward Albee — Proctor’s Fifth Avenue (at Broadway and W. 28th Street), the Union Square Theater, the Colonial Theatre in Columbus Circle, and the Alhambra in Harlem. 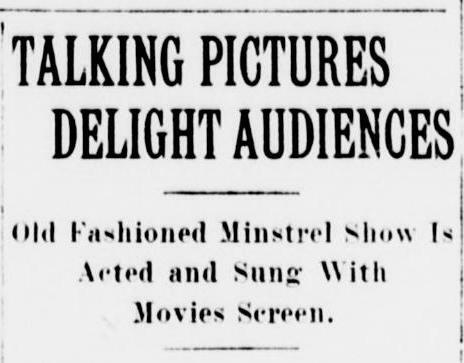 Previously, his workshops’ greatest film accomplishment had been a standing box which viewers peered into, but with the rise of the nickelodeon — featuring a string of silent short films upon a screen in front of an audience — projected film was quickly becoming the preferred method of watching moving pictures. 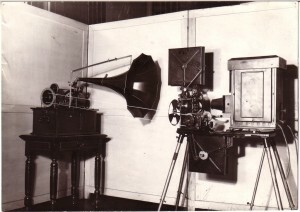 With the Edison kinetophone, a projecter and a phonograph were linked together with a complicated belt and pulley system. In theory, it was the next step in the evolution in film. 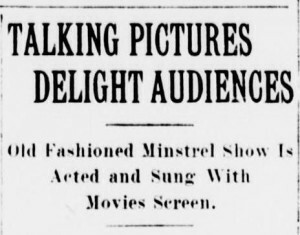 The second reel was all song and dance — a minstrel act, followed by a rollicking version of the Star Spangled Banner! So why didn’t this start a movement for sound films? Why did it take another fourteen years for The Jazz Singer — the first movie with synchronized dialogue — to debut, ushering in the true era of modern movies? Because the kinetophone required alert projectionists to keep the sound and image perfectly in-synced. Within a couple weeks, unskilled operators were playing both at varying rates, creating an unwatchable mess of out-of-sync music and dialogue. At the Union Square Theater, audiences were prone to booing and walking out during the kinetophone section, and it was soon eliminated. Perhaps Edison’s team in West Orange, New Jersey, would have worked to improve this technology, but the following year, his factory there burned to the ground, and all production of the kinetophone ceased shortly after.